If an employee negotiates a termination package with an employer but does not sign a release, can they successfully claim additional pay in lieu of notice in a court action? Interestingly, the Ontario Superior Court recently held that the answer for one employee in these circumstances was “no”. In Bland v Canadian Farm Insurance, 2012 ONSC 3021, Bland was terminated without cause after fifteen months of service. At the time of his termination, Bland earned a base salary of $80,000, had a company car allowance and had health and dental benefits. Following his dismissal, the employer offer to provide him with four weeks’ pay in lieu of notice. The employee asked the employer to extend his health and dental benefits for six weeks and the employer agreed. The employer also decided to pay him six weeks’ pay in lieu of notice rather than four weeks. 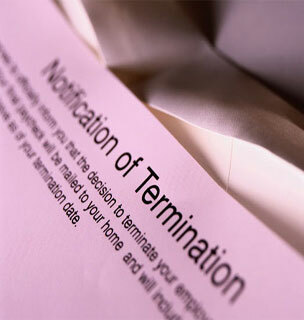 The employee accepted this termination package without objection. Nine months later, he claimed he was entitled to additional damages as a result of wrongful dismissal. The employer argued that the parties had reached a settlement of Bland’s wrongful dismissal claims and, as a result, he was not entitled to any damages. The Court accepted this argument because the employee had engaged in negotiations with respect to the termination package and it was reasonable to conclude that the employer would not have advanced the payment or extended the benefits if Bland had not agree to settle his claim for wrongful dismissal. While this case provides some comfort to employers, it should not be seen as setting out a blanket principle that a termination package without a release will bar a wrongful dismissal action. This case should be viewed in its context: a negotiated termination package for a short service employee. Employers would be well advised to obtain releases when settling a former employee’s wrongful dismissal claim, particularly in circumstances where the potential damages could be significant.